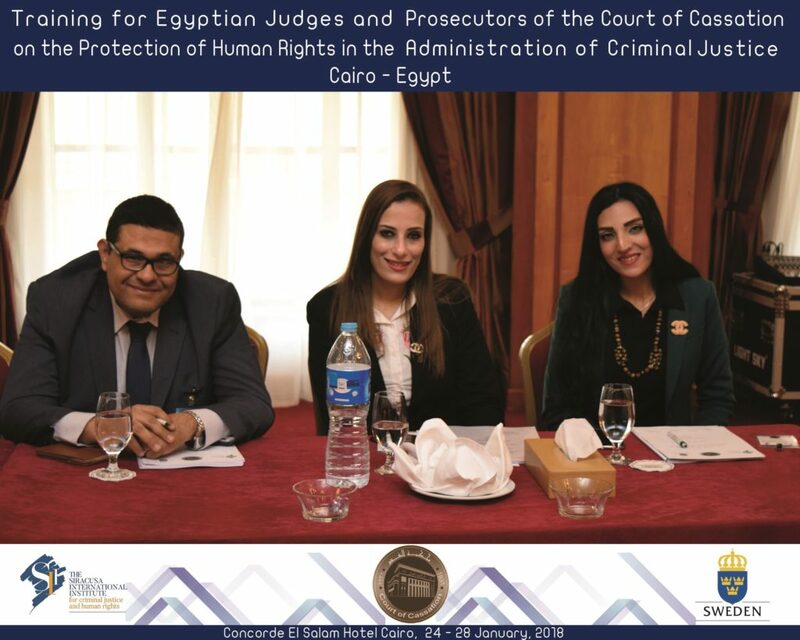 Mr. Filippo Musca, Deputy Director of the Siracusa International Institute for Criminal Justice and Human Rights is attending the fourth session of the Training of Trainers Program (ToT) for Egyptian judges, prosecutors and officers of the Technical Office of the Court of Cassation in Cairo. (January, 23-28, 2018). This activity is part of a three-year Technical Assistance Project in Egypt, which was launched in 2014 with the support of the Swedish International Development Agency (SIDA). The project is aimed at promoting the rule of law, human rights and the effective functioning of the Egyptian justice sector. 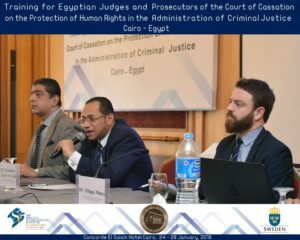 The opening ceremony of this session, which involves 35 selected participants, is attended also by Counsellor Ahmed Abu Zayd, Vice President of the Court of Cassation and head of the International Cooperation Department, and by Counsellor Cherif Atlam, Chief Justice at the Cairo Court of Appeal and the Siracusa International Institute’s National Project Coordinator. Elements of International Crimes: Crimes against Humanity, War Crimes and Genocide. The next activity of the ToT for Egyptian judges, prosecutors and officers of the Technical Office of the Court of Cassation in Cairo is scheduled in March 2018.